To simplify the eConveyancing process, triSearch offers a start to finish solution for your matters. We’re with you for the entire journey. No signup fees or lock-in contracts means you pay for the services you use, when you use them. As you get to final stages, we also offer a free integration into PEXA and Sympli, and can conduct the settlement on your behalf. All of this, written back to your Practice Management System through our seamless integration. Easily and securely verify your clients identity from any location, in 10 simple steps, using our triVOI mobile app. Remove the manual process of scanning and physical filing, saving both time and money for your business. You can download a free guide to triVOI here. triSearch has all your land property searches, and certificates, through one convenient online platform. All searches require minimal data entry and have a streamlined workflow, integrating into leading Practice Management Systems and eConveyancing platforms. You can see a full list of searches available here or by contacting triSearch today. Easily make changes online at any time, with one true version. Searches appear in order of the contract and disbursements and results are captured instantly in real time. Two click compiling function so that you don’t need to print, email, scan. 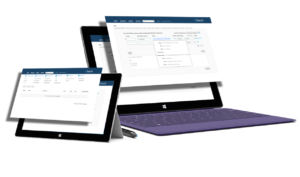 SignIT enables you to sign documents online in a few simple steps. It saves you time and money by allowing you to execute documents faster and avoid the hassle of printing, scanning and posting. We utilise the industry expert, DocuSign, to ensure a simple and secure signing process. Access SignIT through your triSearch platform account. You can download a free guide here. Upload any document and send it to parties via a secure email link. Parties can then review and sign the document online from any location. 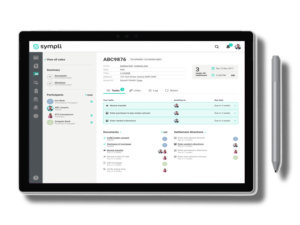 You can track who has signed the document on the SignIT dashboard and once all parties have executed, everyone receives a final signed copy. triSearch eSigning tool has been developed with security in mind. As an added layer of security, you can now add SMS verification to your eSign process. Once a document is uploaded, signers are chosen, and tags affixed, you can select to have SMS authentication. The recipient will be prompted to select ‘Send SMS’ and an authentication code will be sent. This code can be used to enable access to the document for signing. Whether you’re already using eSettlements or are looking to make the transition, triSearch is here to help. Our search platform seamlessly integrates into PEXA and Sympli so you can take care of settlements in a few clicks. We also have a team on-hand that can undertake electronic lodgements and settlements on your behalf. With the mandates for eSettlements rolling out around the country, you want to make sure your firm is ready and compliant. Organised by the client and provided to trisearch to enter into the ELNO /PEXA workspace. Provided by the client for duplication by trisearch into the ELNO Workspace. Stamped by client or trisearch for electronic transaction. Reference entered into ELNO. Funds electronically disbursed on settlement. Want to know more about a search or a service?